In order to get the Titan One device working on XBox 360 you will need the help of a wired XBox 360 controller for the authentication procedure. Once authenticated you can replace the XBox 360 controller for any other controller you want. Any licensed XBox 360 wired controller should work for authenticate. However, for best results, use a Genuine Microsoft XBox 360 Wired Controller. Set the Output Protocol to XB360 or AUTOMATIC in Device Options. In order to change this option the Titan One device needs to be connected to your computer by the PCPROC side port, through a USB cable. The display on device should start blink "AU", pointing out the XBox 360 is waiting for authentication. We strongly recommend connect the Titan One device directly in a USB port of XBox 360. Using extension cables may cause the Titan One device resets when exchanging the controller on INPUT port. Requiring redo the authentication process. If an extension cable is really needed, we suggest to use only high quality USB extension cables, designed to 1A or more in the power lines. The display should now show the number 0, indicating the authentication procedure was successfully performed and the Titan One is operating normally. At this point you can use the console through the device. If you want use another controller go to the next step. The Titan One device should display a animation indicating it is waiting you connect a controller on the input port. The controller should be operational when the display shows 0 with no dot at the top and bottom. The authentication process is needed every time the Titan One device is connected on the system and/or every time the system is initialized. Note using a wireless Xbox 360 controller with the Play&Charge USB cable will not work, the cable is for recharging only and does not transmit any data over the wire. The wired XBox 360 controller you used on authentication can not be used as a second controller. 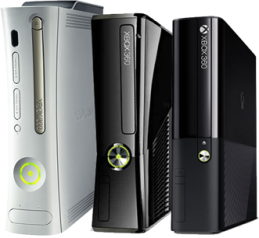 The reason for this is because the Titan One device borrows the signature/ID# from the controller for itself, and the XBox 360 doesn't allow two devices with identical IDs operate at the same time.